I love our knit stockings. They aren't practical for filling though. You don't want to put anything too heavy in them. So the lovely little orange in the stocking tradition, which I'd like to keep, won't fly. Since Santa has never filled the stockings at our house we've been fine, but I may need to be replacing these in the future. They are so lovely though & Sadie's is the best little striped thing with pom poms! I'm glad you haven't switched to Blogger Beta because I can barely ever leave comments on those blogs. Anyway... those stockings remind me of the stockings that we had growing up at my Dad's house. They're special to me because he picked them out himmself and we still have them. We don't actually use them because they are hard to fill but I like seeing them every year. I love those! 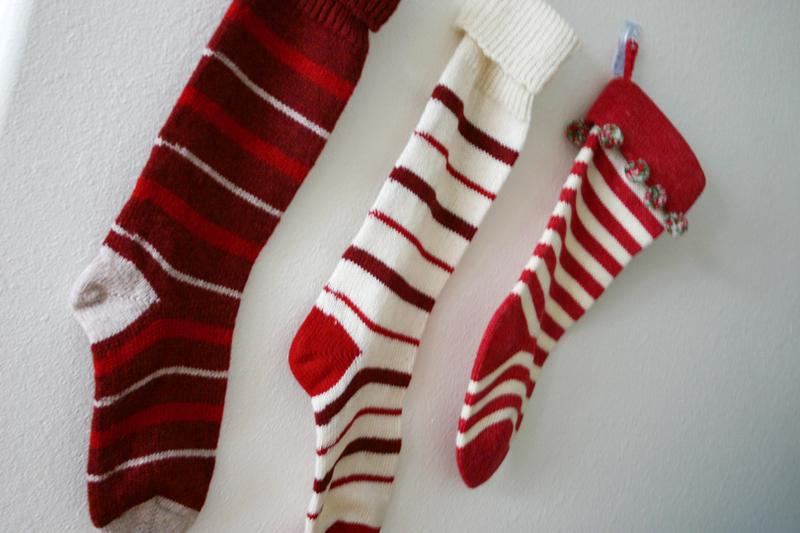 And I love the orange in the stocking tradition, too - my Momma did that every year we had stockings.